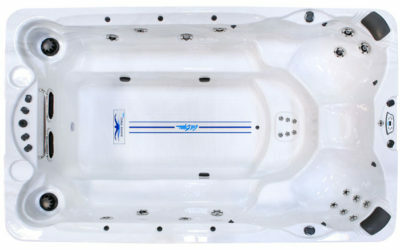 At Decks & Spas we take great care selecting which hot tub lines to carry. 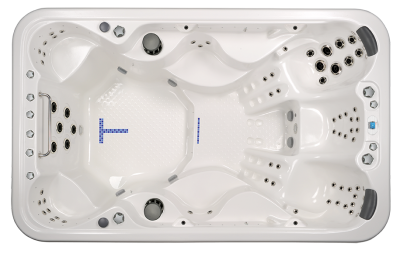 When selecting Swim Spas we used that same care and attention to detail. 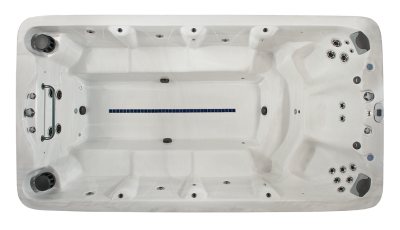 That’s why we are proud to offer the premium line of Power Pool Swim Spas as well as Cal Spas Ultimate Fitness Swim Spas. Swim spas present a practical way to swim every day. 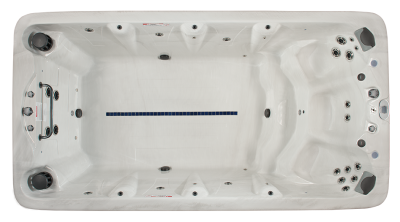 The construction of a traditional pool can take weeks while our swim spas can be installed in one day. 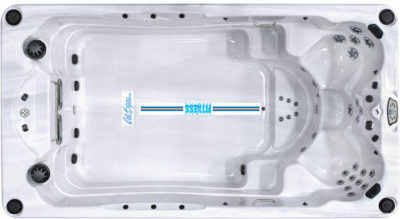 Also, swim spas integrate into smaller backyards easily while still giving you that feeling of a large swimming pool. 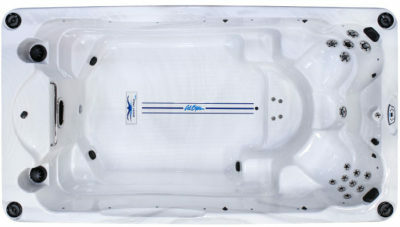 The advantages don’t stop there, numerous advantages give swim spas an edge over backyard pools. River/Swim Jets that allow you to swim in place. Mouse over to stop, click to view. Click on a logo below to view a featured brand page.